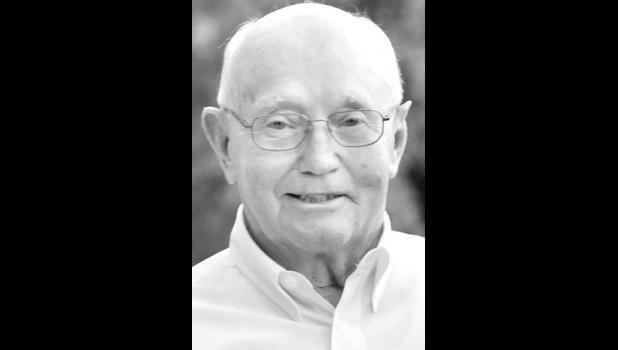 Donald Lee Askren Sr., 82, of Circleville, passed away Friday, Dec. 18, 2015, at Holton Commu­nity Hospital. He was born Nov. 11, 1933, the son of Jess Lee and May Irene (Wilkerson) Askren. Don was a dairyman for more than 50 years and a farmer/stockman his entire adult life. He was a member of the Cir­cleville Christian Church, the Jack­son County Livestock Association, the Kansas Livestock Association and Circleville Saddle Club. He married Theresa A. Burns on March 15, 1952. They divorced. He later married Renae Ash Burns on Sept. 10, 1990. She survives of the home. Don is also survived by his chil­dren, Mary Pat Wilson, Donald L. (Tammy) Askren Jr. and David M. (Carla) Askren, all of Holton, Sally Jo (Lyle) Alley of Circleville, Gregory P. (Jackie) Askren of Con­cordia, Pamela J. (Darrell) Holaday of Wamego and Clifton E. (Susan) Askren of Holton; his stepdaughter, Debra Burns of Reading; his step­son, Rick (Sherry) Burns of Holton; his brother and sister-in-law, Dale (Ilah Rose) Askren of Holton; his sister-in-law, Wanda (Jerry) Eck of Mayetta; his 26 grandchildren, Jo­seph (Denise) Visocsky, Susan (Jeremy) Rollins, Rebekah (Will) Spann, Jess Askren, Nikki Robin­son, Cody (Katie) Askren, Jenn Alley, Brad (Danielle) Alley, Tyrel (Shanee) Askren, Brice Askren, Kyle (Pam) Askren, Michele Ho­laday, Carrie (Derek) Larimore, Jeremy (fiance Ashley) Holaday, Jamie (Natasha) Askren, Kasey Miller, Stephen (Nina) Eastabrook, Steve (Lindsey) Younger, Shawn and Spencer Younger, Jessica (Nick) Bowser, Jenna (Eric) Patch, Janelle (Jason) Schmidtlein, Jill Lutz, Dean (Ashley) Burns and Robyn (Jason) Jones; his 26 great-grandchildren, Paige, Sierra, Syd­nee and Piper Visocsky, Tyler, Wyatt and Alex Rollins, Jace Robinson, Paden and Paisley Ask­ren, Cameron and Cooper Alley, Elijah Askren, Deland Larimore, Emma Bellinghausen, Kara and Jaxson Miller, Nick, Shy and Christal Eastebrook, Hazel and Henry Lee Bowser, Landon Patch, Reese Burns, Comyn and Addyson Schumaker; and one great-great granddaughter, several nieces, nephews and cousins. Don was preceded in death by his parents and his sister, Bonnie Strader. Funeral services were held Mon­day morning at Circleville Chris­tian Church. Burial followed in Circleville Cemetery.